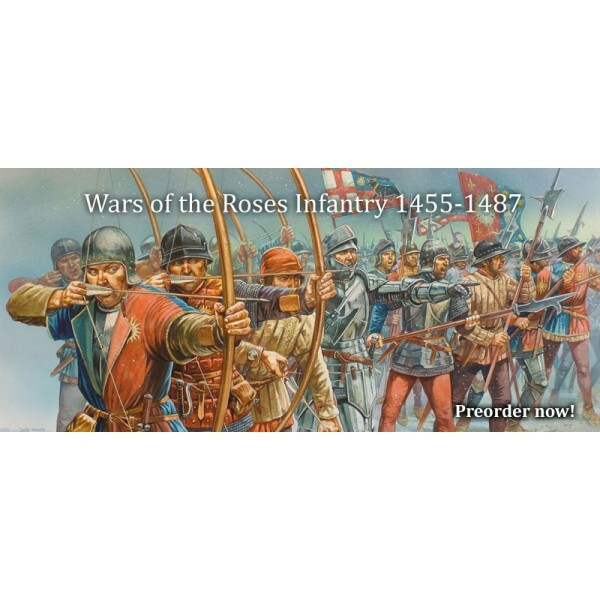 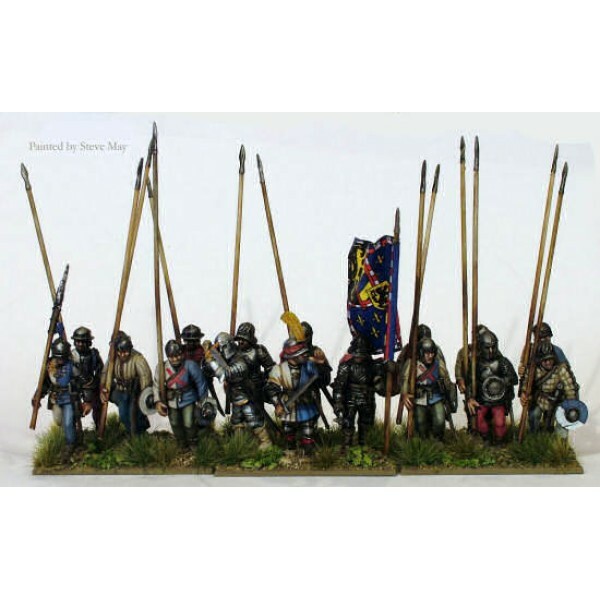 Description: Perry Miniatures Wars of the Roses Infantry 1455-1487 Hard Plastic multipose f.. 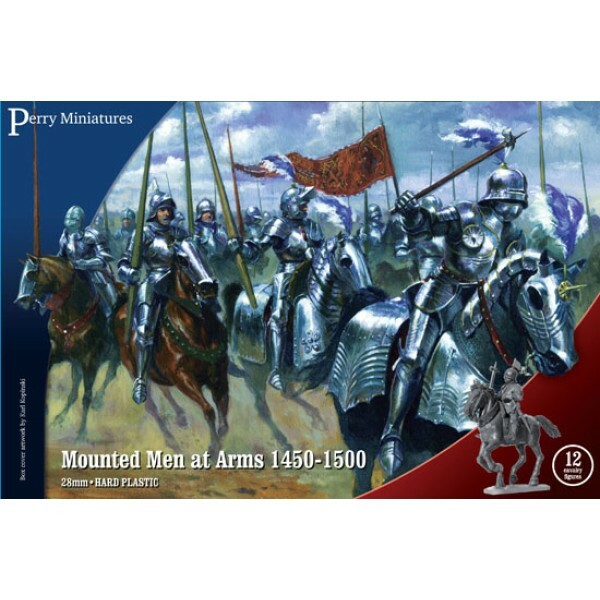 Description: Perry Miniatures 'Mercenaries' European Infantry 1450-1500 28mm Hard Plast.. 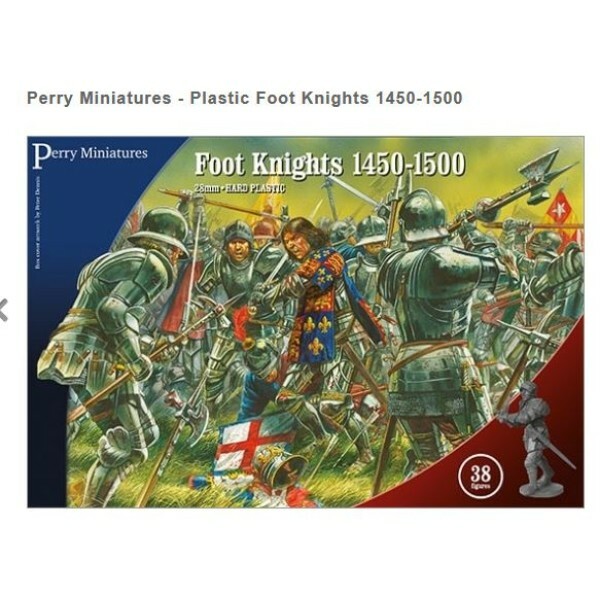 Description: Perry Miniatures - Mounted Men at Arms 1450-1500 These are intended for use in ..
Perry Miniatures - Plastic Foot Knights 1450-1500. 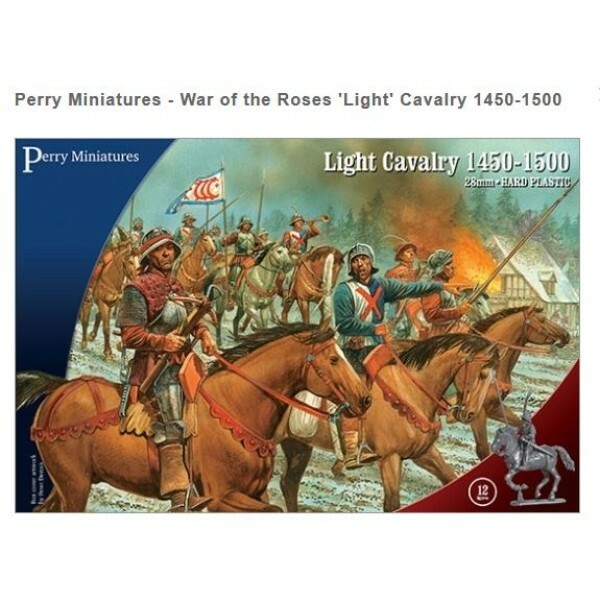 The box contains 38 multipart figures, 17..
Perry Miniatures - War of the Roses 'Light' Cavalry 1450-1500 The box contains 12 plastic hor..